The following is an excerpt from the book If God Was Like Man, through Barbara Rose, originally received and transcribed in 2001. If God was like man, he would ask himself, “Where did I come from? What is it all about?” I shall tell you . . . It is about manifestation. And it is about the divine and creative energy that goes into manifestation. That energy is the essence you are made of – and that essence is love. It is very difficult to explain the ethereal in earthly terms. But I shall try, because so many of you are not exactly sure how things come to be. How you come to be; how you come to be again, after this life, in a new life (if you choose to); and how material is made simply by picturing it in your mind and feeling so excited about it that it becomes a physical reality before your eyes, exactly as you pictured it. You see, when you get excited about something, you emit a very high frequency energy that attracts other energy of a similar frequency. Now this frequency may be in the form of a song, so you literally attract the thoughts or the melody of the thoughts to produce a song. Or you may picture your dream-mate. When you are very clear about what you desire, you will attract into the reality of your life nearly the exact image of your vision. In other words, when you get so excited, the energy of your soul, which surrounds your body, emits a frequency. It attracts a like frequency and thus draws to you exactly what you were looking for. You don’t need to understand this scientific information to produce results in your life. You don’t need to understand how a tire spins so fast and how every part in your automobile functions in order to get in your car and go where you wish to travel. In the same way, you don’t need to understand about energy and visions. I explain it to you only because far too many people believe that all of this information is akin to “pink flying elephants.” And even when they have proof of the powerful tools of visualization and belief combined, they still doubt. So that is why I mention the scientific explanation. But it truly is not necessary that you know it to achieve all you dream of. Let’s just say that you are like a living, walking, talking, thinking magnet. So as you walk in your actions, you will produce the results of your actions. And this is known as cause and effect. As you think, you will produce similar thoughts in others or attract the like thoughts of others. You may attract, say, a person who has information that you need to achieve a certain goal. So like attracts like. As you speak, the power in your words acts like a megaphone telling this universe exactly what to bring to you. Your speech is like a bugle call: “Oh, I’ll never be able to pay my bills on time; my phone will be shut off,” you say. Guess what happens. You will hear, “This line has been temporarily disconnected.” But if you said, “Oh, I know I will have the money to pay my phone bill.” Then what happens is that somehow you manage to pay your bill. But here is the key, the absolute key. I will give it to you in an analogy you can relate to on a common personal level. What he said did not match what he truly felt, but the reaction he got matched what he truly felt – because that was exactly the energy he attracted to himself. We attract to ourselves the energy that corresponds to our truest beliefs and feelings. the same thing, and since his question was based on truth, and since like attracts like, the result would be that they would be “getting it on” at his house. So when you say, “I have the money for the phone bill,” but in your deepest belief you hear the disconnection notification when your best friend calls, the universe sees the situation in the same way that it sees the boy’s dishonest statement to the first girl. It is the same. Your body consists of electromagnetic impulses that carry certain frequencies of energy, and this energy attracts like energy to it on all levels of existence. So happy begets happy. Worry begets worry. Fear begets more fear, and thus more reason to fear. It is a vicious cycle. But – and here is the best part of all – You can instantaneously change every direction to the direction of your deepest wishes, your greatest desires, your grandest preferences, your highest expectations, and your truest delight. AT ANY MOMENT, YOU CAN CHANGE COURSE. If you go to a restaurant and place an order, and then the waiter goes around the table taking other orders, don’t you have the right to change your preference at any time? Yes, you do. And when you change your preference, don’t you expect to receive what you ordered last as opposed to what you ordered first? Yes, of course. And don’t you think that when the waiter gives your order to the kitchen, you will get exactly what you desired, requested, and expect? Yes, you will. Would God do this if he were man sitting in a restaurant placing a food order? I ask you. I ask you because this is what you do to me. And I do not mind. But I do say to you now, why do you beg? Simply ask. Ask and ye shall receive!
. . . OK. So if God was like man, he would say: “I would really love such and such,” and he would say: “Because I love it, I ask for it. And now I know if I ask for it I can simply look out for it and expect it to appear, because as soon as I ask or even feel I want it, the order has been placed.” It is already on its way. So think of me as if I were a mind-reading waiter. I am here to serve you and help you achieve and manifest all you desire. That is what brings me joy. But it has taken so many, many years for you to believe that you could manifest whatever you could conceive. And now that your society is more open about this, more willing to believe that you are a part of a far greater whole, perhaps there will be no need for arguments or debates. Simply live the message. Live and experience joy in the results of the message. © Copyright 2001, 2003, 2011 by Barbara Rose, PhD All Rights Reserved. Chapter excerpt from the book If God Was Like Man. Published by The Rose Group (November 2003) ISBN: 0974145718. Second edition published 2006. 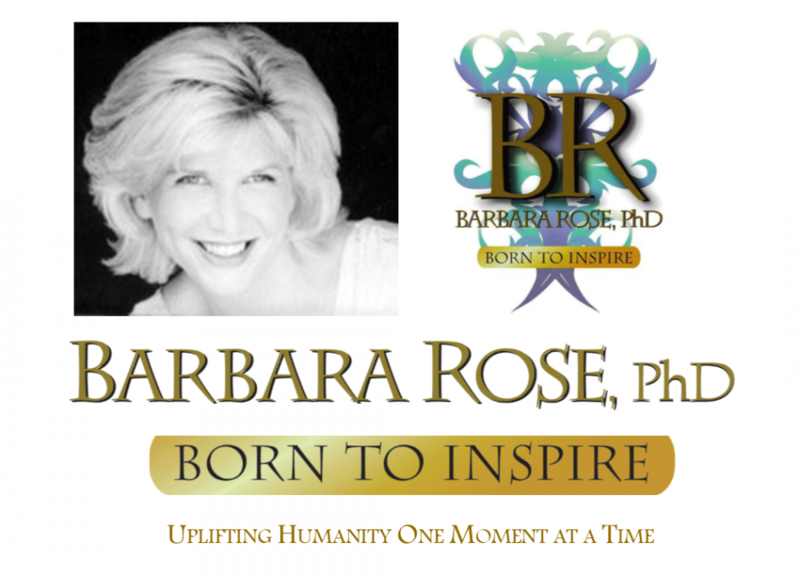 This entry was posted in Browse Answers from God, Browse Spirituality, Exclusive Book Excerpts and tagged Abundance, Barbara Rose PhD, God's Words, Higher Self Communication, If God Was Like Man, Law of Attraction, Manifestation by Barbara Rose, PhD |Born To Inspire | Bestselling Author| Life Transformation Expert. Bookmark the permalink.